An important aspect of World War One is the role played by the state in organizing the war effort both in terms of marshaling the troops to the front as well as mobilizing the society and the economy. The issue is of particular interest in the Italian case because the state was far less developed than in France or in Britain and thus had to catch up quickly by developing greater financial and organizational capacity after war was declared. the Austro-Hungarian army, with German assistance, achieved a breakthrough at Caporetto, forcing the Italians to retreat to the Piave River. The Austro-Hungarian army did not advance beyond the Piave River as Italian troops resisted protecting their land. 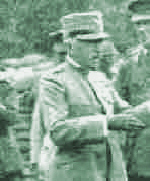 Prior to the disaster at Caporetto the Italian authorities, led by the Paolo Boselli national coalition government, had adequately prepared the country for a long war. 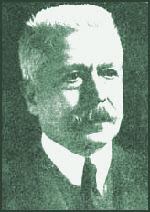 Boselli was an older statesman who assembled a very heterogeneous coalition by standing above partisan politics and urging all political parties to unite to face the crisis. First, the government organized the mass conscription of over 5 million men which were called into the army. More than half of these men were peasants, many of which were unable to read or write and did not understand the purpose of the war. Forced conscription challenged the state's legitimacy especially in the southern regions where sections of the population had previously sympathized with the Brigantaggio phenomenon, bands of toughs rebelling against the military and the police. But during the war when faced with violent outbursts the government would call on the Carabinieri to quell the revolt. The effectiveness of the Carabinieri allowed the government to continue its recruitment effort without major delays. Second, the government also organized an industrial mobilization economy aimed at boosting productive capacity. The state ran huge budget deficits, as it became the key customer of the developing industrial apparatus. Quick depreciation schedules, advance payments and favorable interest rates allowed the government to induce large corporations such as Fiat and ILVA to produce in a timely manner. Moreover, war production councils were set up where industry, government officials and regional authorities met to hammer out procurement plans. A dedicated Ministry of Arms and Munitions was created to oversee the production effort and coordinate all activities at the local and national level. Most importantly, the Boselli coalition preserved Italy's delicate parliamentary regime during wartime, thus preserving democratic institutions. The Supreme Army Commander Luigi Cadorna represented the biggest threat to democracy has he frequently called for extreme measures to ban free speech and intervened in political matters that were out of the sphere of competence of the military. Cadorna complained about Socialist propaganda against the war and asked for its suppression. 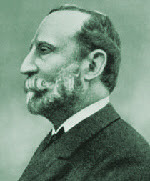 He also fought very hard against Minister of the Interior Vittorio Emanuele Orlando and asked to have him removed. He even banned Leonida Bissolati, a minister acting as an intermediary between the government and the military, from entering the war zone. The national coalition resisted Cadorna's call for the suspension of democratic rights and isolated the extreme right in the parliament which wanted to establish an authoritarian government lead by the military. 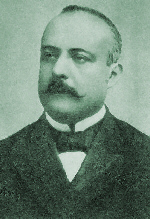 After Caporetto, a new government was formed, led by Orlando, which continued most of the policies initiated by Boselli. But, Italian resistance along the Piave required both greater military and political responses. Caporetto had been the biggest single military disaster in Italian history. In October 1917 the Italian army suffered 10,000 deaths, 30,000 wounded, and 293,000 had been captured by the enemy. Moreover, during the retreat from Caporetto the Italian army had left behind 3,152 cannons, 1,750 large cannons, 3,000 machine guns, 300,000 guns, 1,600 heavy trucks, and 150 airplanes. For Italy the scope of the war had changed from an offensive to a defensive one as the Austro-Hungarians were close to capturing some of Northern Italy's biggest cities. The country was demoralized, the army was in disarray, and many civilians believed that the war had been lost. On the home front the war required an intense campaign of industrial innovation to reconstruct the Italian army with new equipment and supplies. At Caporetto the Italian army had been routed partly because the troops were war weary and lacked food, clothing, and adequate supplies. The domestic industry once gain remarkably increased production. Food rations for the soldiers, for instance, were increased to 3,580 (from 3,067) calories per day to overcome what had been thus far an insufficient daily diet. Moreover, to boost the morale of the troops and of the population, the government coalition decided to initiate a major propaganda campaign. A special Uffici P unit within the army was formed to adopt innovative propaganda techniques using cinema and printed media to instill a strong sense of patriotism as well as to better define the purpose of the war among the soldiers. Trench newspapers became very popular with the soldiers especially because they avoided excessive rhetoric and focused more on educational topics. An agency for the welfare of the soldiers was also formed, the Opera Nazionale Combattenti, to oversee pensions and other programs such as the creation of postwar rural cooperatives for the soldiers. On the military front a change in the top leadership was also deemed necessary by the government, and to that end General Armando Diaz replaced General Cadorna in November 1917. 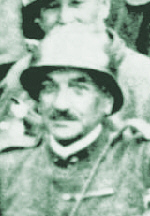 Cadorna major failings as a military strategist were that he had been unable to anticipate the Austro-Hungarian and German attack at Caporetto despite massive evidence that pointed to a major counteroffensive and his stubbornness in pursuing poorly planned and predictable offensive campaigns from 1915 through 1917. With Cadorna's dismissal the government finally took greater control over the military. Since then Italy had been the only democracy where the military had openly flouted the government's authority by at times refusing to give information relating to number of casualties and details over military operations. But by the end of 1917 a more balanced power relationship had been established between military and civil authorities. In addition, the government took two very important initiatives to strengthen the country's wherewithal in the face of foreign invasion. Two Arditi special forces had been recently set up. These volunteers, which participated in many bayonet and hand to hand combat attacks, quickly became heroes and set the example for the rest of the army. Italy badly needed something to hold on to in a time of crisis and the Arditi provided a much-needed bedrock of patriotism and heroism. In order to raise the low morale of the troops, the government also decided to change many of the harsh disciplinary policies enforced by Cadorna. Cadorna had treated his soldiers with disdain. He would randomly execute soldiers to discipline the troops and he would dismiss assistants that did not agree with his tactics. He had also ordered severe restrictions on the soldiers. For instance, they were not allowed to go into bars or to read certain newspapers while in or near the front line. Many of these restrictions were removed by the new government. Indiscriminate punishment shootings were no longer allowed and the government and the military no longer endorsed unnecessary counterattacks with little hope of success thus sparing the life of many soldiers. The number of casualties dropped considerably in 1918 to 143,000 as opposed to 520,000 the previous year. Only on 24 October 1918, when the course of the war had changed, did the military command begin a major counteroffensive by ordering the infantry and the cavalry to cross the Piave River. By 3 November the Austro-Hungarian army had been pushed back and Italian troops captured Trent and Trieste. In 1915 Italy was a recently created nation-state. Other recently established nation-states such as Russia, for example, were not able to sustain the war effort and were ultimately overwhelmed by military, political, and social crisis. The courage of the soldiers along with the resourcefulness of the government and society allowed Italy to successfully overcome those difficult years. The Great War represented a major stepping stone for the creation of a modern Italian national identity. Russia a "recently established nation state? Is this an allusion to Russia under Kerensky or the Bolsheviks? What a good analysis of this crucial part of Italian history, and a neglected WWI front. In Cardona we might glimpse the seeds of fascism to come.